The cylindrical container by Menu has room for many little things. 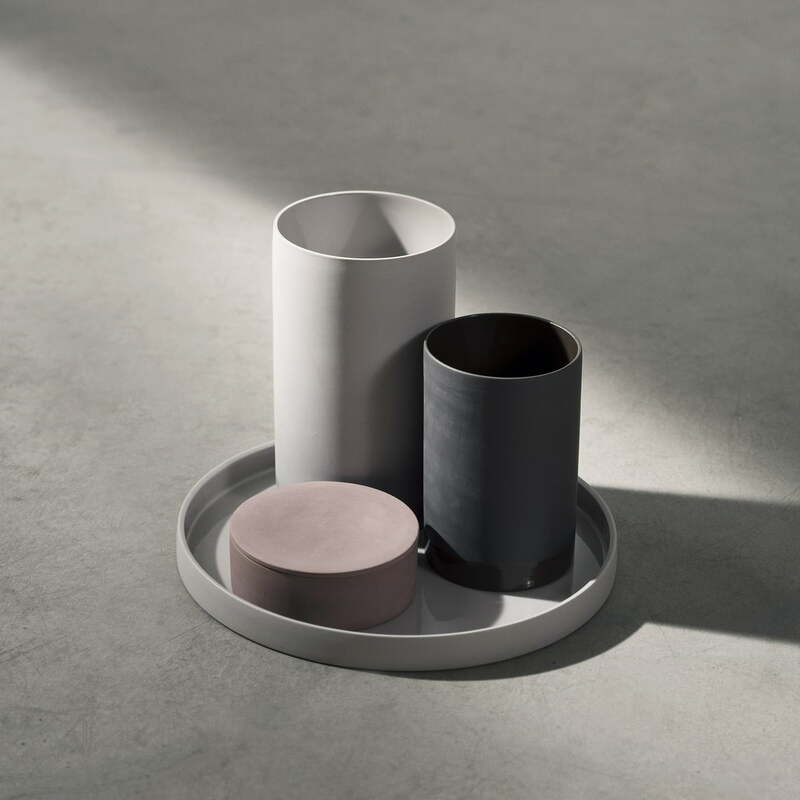 The round storage box by the designer Alexa Lixfeld fits wonderfully into the Cylindrical Series and especially perfectly to the cylindrical vases. The design of the container in the Scandinavian minimalist style is simple and elegant. 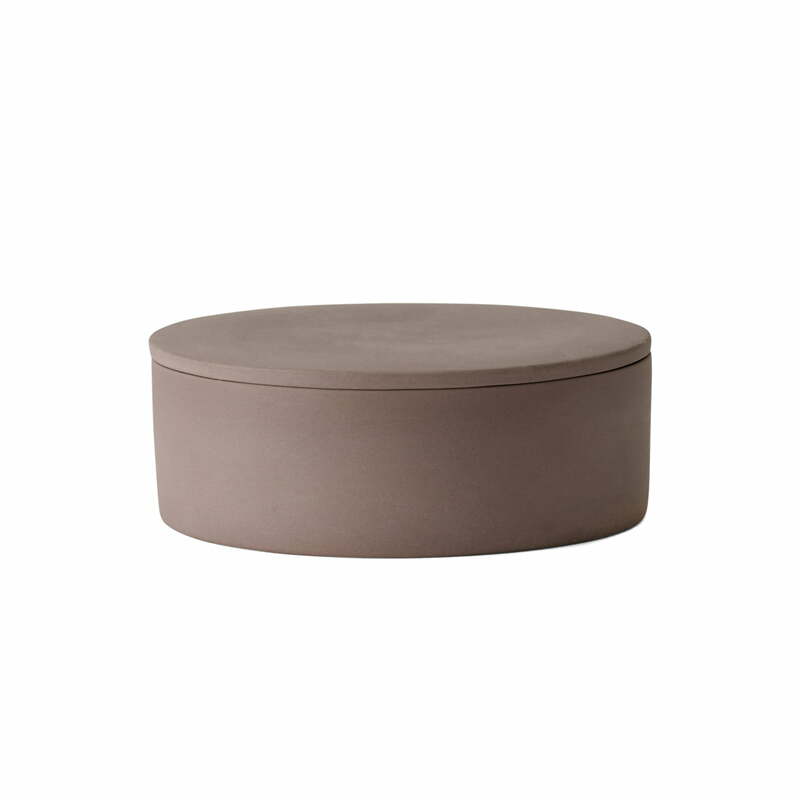 The Cylindrical Container is suitable for storing candy, stationery or jewellery. 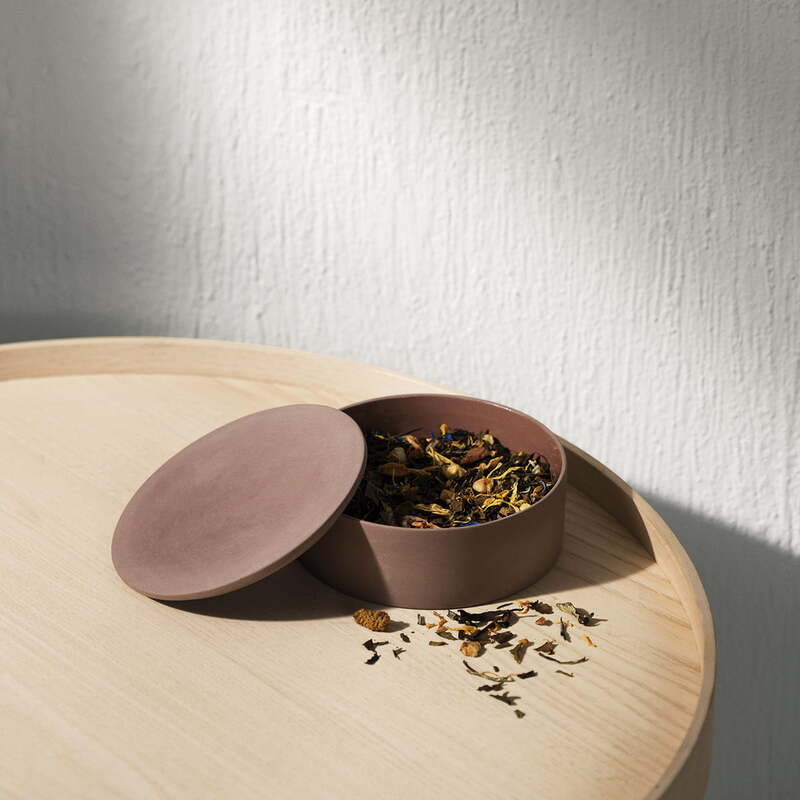 The corresponding cover ensures a secure closure so that even tea or spices can be stored in it. Consisting of ceramics, the container is also very stable and extremely durable thanks to the high quality. Thanks to its handy size, the container can be placed anywhere and will become an eye-catcher wherever you put it - whether on the table or the sideboard. The Cylindrical Container is available in two colours. Single image of the Cylindrical Container with Lid by Menu in white. The round box made of ceramic by Alexa Lixfeld has space for many little things. Whether stationery, sweets or jewellery - all the treasures are in good hands here. Single image of the Cylindrical Container with Lid by Menu in white. The box boasts a simple, minimalist design and thus perfectly embodies the Scandinavian style. The Cylindrical Collection by Menu seen in its surroudings. Alexa Lixfeld has created a collection of ceramic objects, that harmonize beautifully with each other and exude industrial charm. Ambience image of the Cylindrical Container with Lid by Menu. Tea can be stored in the container without any problems. Thanks to the lid, the box is securely closed.